The problem with some golf instructional books is that they are too focused on the mental aspect to help out with the physical aspect. The problem with some golf instructional books is that they are too focused on the physical aspect to help out with the mental aspect. PGA teaching pro Jeff Warne and psychiatrist Dr. Phil Lee combined their talents to do something about these deficiencies. It looks like their work together paid off in their new book, Shrink Your Handicap (Hyperion, $23.95 SRP). Warne and Lee based their work on a simple premise–while on the practice range, golfers show their true ability, which is not always present when out on the golf course. A 230-yard drive with a 3 wood on the range turns into a hook into the trees on the first tee. Five straight putts on the putting green are followed by a three-putt on the first hole. Most golfers have experienced this sharp drop in apparent skill on at least a few occasions. Warne and Lee contend that the primary reason for the difference in results is anxiety. Lee and Warne know how to reduce that anxiety, both mentally and physically. Lee specializes in sports psychiatry and performance enhancement, based in Manhattan. Warne is a Golf Magazine Top 100 golf instructor, a frequent contributor to the magazine, and a senior instructor for the Jim McLean Golf School at Doral, in Miami, Florida. Lee’s segments emphasize work on ways to reduce the physical reactions created in the body by the release of “fight-or-flight” chemicals, such as adrenaline. These natural defenses against certain kinds of stress are useful in many other places. Unless a golf cart is careening toward a golfer, however, these defense chemicals have no place on the golf course. Playing well demands a far calmer approach. Lee discusses behavior therapy, insight-oriented defenses, and cognitive defenses, and explains the differences among the three psychoanalytical theories. Each theory has its disciples, and each can be useful to prevent or reduce anxiety. His techniques, such as those borrowed from biofeedback therapy, are helpful in many other arenas such as preventing migraines or other medical problems. His insight was to recognize their utility for golfers struggling with their game. Warne’s approach to reducing anxiety is to emphasize practice and playing techniques that should improve skills for all golfers. With improved physical skills there will be less anxious moments on the tee. Furthermore, a firm grounding in the fundamentals of golf remains an essential element of success, regardless of a player’s improved mental condition. A good attitude is no substitute for a good swing. For example, Warne spends a fair amount of time on bunker play, the bane of many amateurs and the source of much anxiety. He illustrates practice techniques familiar to those that read or watch Dave Pelz or Jim McLean on The Golf Channel. These teaching methods work and the increase in skill should decrease a player’s anxious moments during the round. It’s pretty clear that the two writers collaborated on several chapters, and wrote others separately. This helps the reader appreciate the difference between their two approaches. It’s also pretty clear that the two writers benefited personally from their own interaction together. Without fawning over one another, Warne and Lee obviously appreciated each other’s talents. 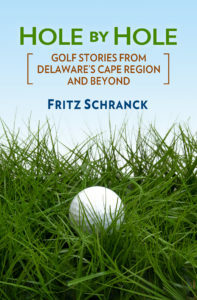 Golfers looking for more than playing tips will benefit from this book. Golfers looking for more than a psychological tune-up will benefit from this book. It’s a nice combination.